In case you didn't get enough of the unique brand of Halloween horror on view at Zombie Joe's Underground Theatre last month, you can check out Deviled, which began in mid-October and continues through November 15. Like ZJU's Urban Death: Tour of Terror, Deviled is a non-dialogue collage of bizarre imagery, but Deviled is more choreographic - a continuous flow rather than a living slide-show. It's not really a play - more like a half-hour music video performed live, in which movement and rhythm, rather than narrative, fill the space - not only in the theatre but also inside your head. Deviled begins with an encounter in the lobby, where an oracular character warns audiences of what awaits them within the theatre: strange and disturbing sights of a demonic nature. Once inside, viewers are treated to a non-stop succession of what might be called permutations, as eight bodies - four male, four female - ebb, flow, and intertwine as if in some orgiastic ritual. There are a few bits of concrete action: a woman gives birth to a strange baby; a demonic figure sodomizes a helpless man; one character contorts her back to perform a ghastly, upside-down spider-walk. But for the most part the action simply flows like a nightmare as the performers exit and enter, combine and separate, forming every possible variation, almost like living building blocks. 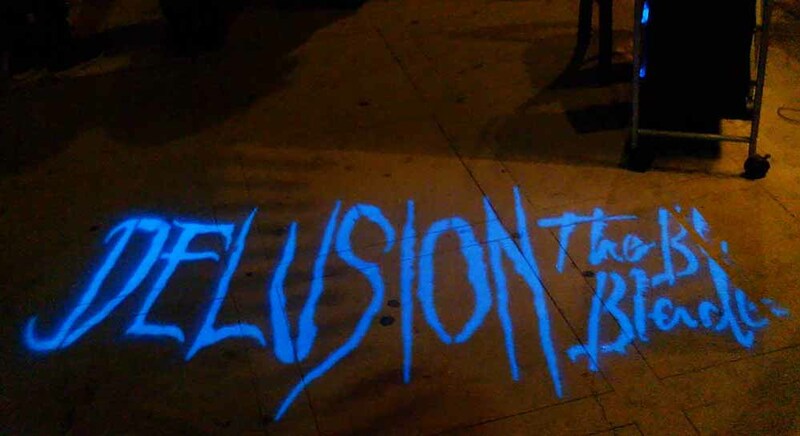 It's all very startling and bizarre, and more sexually suggestive than the Urban Death Halloween show. Unfortunately, the inventiveness of the staging cannot sustain the experience for its entire length. Without the sudden shocks and surprises of Urban Death, Deviled gives viewers a bit too much time to become inured to its strange sights and sounds. 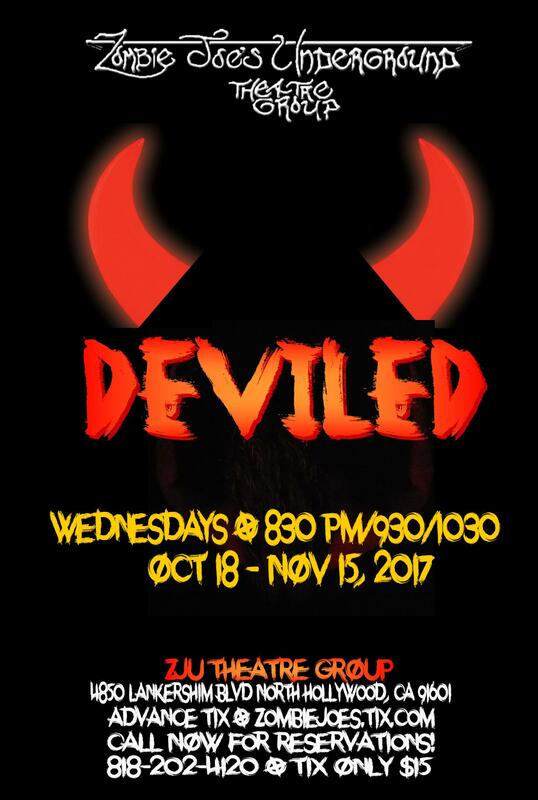 Deviled continues at ZJU Theatre (4850 Lankershim Boulevard, North Hollywood, CA 91601) with performances on Wednesdays, November 8 and 15, @ 8:30, 8:30, 9:30, and 10:30 pm. The website is zombiejoes.com. 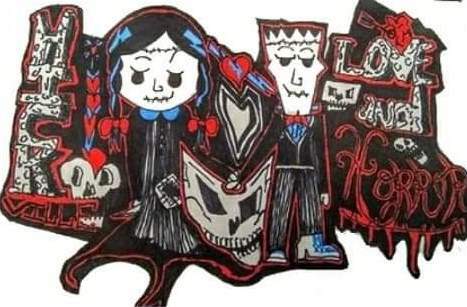 A non-dialogue collage of bizarre imagery, Deviled flows like a half-hour music video performed live, but it gives viewers a bit too much time to become inured to its strange sights and sounds.